Inniger suggested that Lonnquist consider an adaptation of Lucy Maud Montgomery’s classic Anne of Green Gables, but with a new perspective. Recalling that “first,” Inniger had previously contemplated a new adaptation and recognized Lonnquist’s talent. The combination of Inniger’s ideas and Lonnquist’s writing became the new work, Letters to Anne of Green Gables. The unfamiliarity with Anne of Green Gables wasn’t an issue for Lonnquist, in fact, it may have helped shape the new story. During Lonnquist’s senior year at Bethany, she read the first three books of the Anne of Green Gables series. “No adaptation of Anne had yet been written through letters," explained Lonnquist. “I wanted just about every character in Letters to Anne of Green Gables to tell Anne’s story, except for Anne. 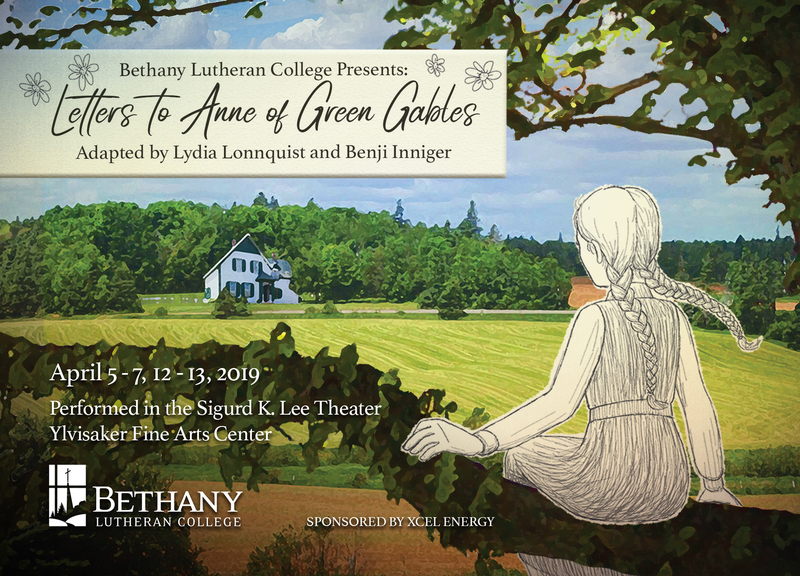 Six performances of Letters to Anne of Green Gables will take place, April 5, 6, 12, and 13 at 7:30 p.m. and April 7 and 13 at 2 p.m. Tickets are available online at the Bethany theatre website.